A mentor text is a text that is used as an excellent example of writing from which students can borrow the author’s techniques to improve their own writing. Mentor texts inspire students to take risks in their writing, improve their comprehension, and help them appreciate an author’s craft. I love to use mentor texts books to teach writing, so I have a large collection of them to use with students and teachers alike. I organize my books into categories that most resemble the 6+1 Traits of Writing. Most of the time when I read a book to students we write about it too, so organizing my books this way makes things it easy for me to plan lessons and saves me valuable planning time. 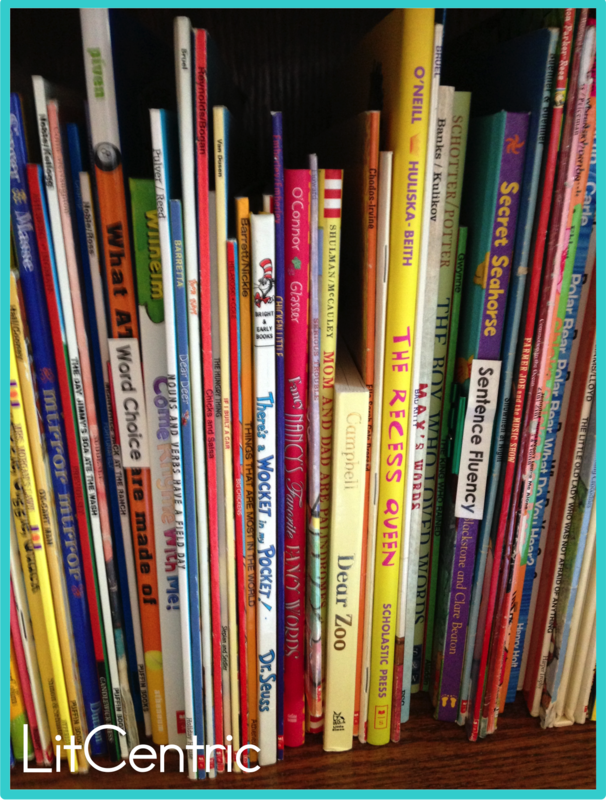 As my collection of mentor texts grew, I needed to find a flexible way to store them. 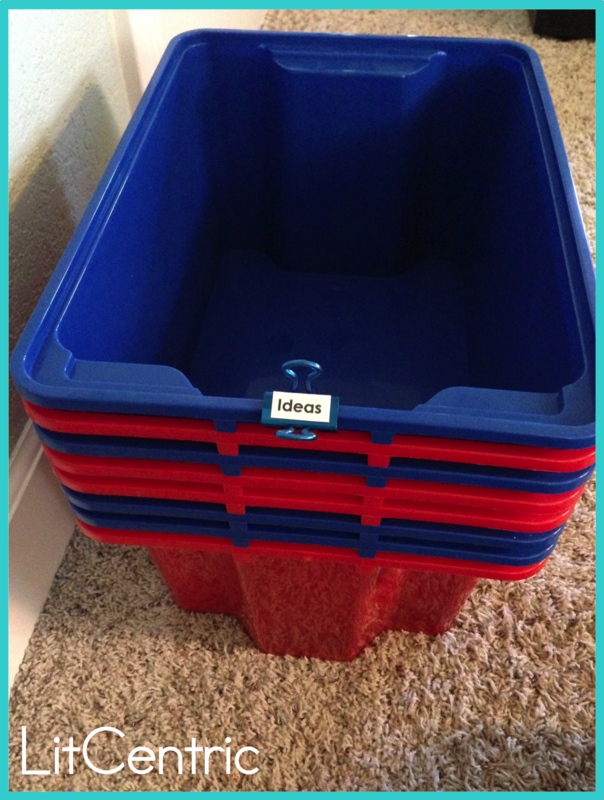 For the last few years I’ve used binder clips to label my book tubs. I typed up a label for each category, laminated it, and stuck it to a binder clip. Most of my labels are longer than the clips so the labels hangs over each side of the clip, but it works out just fine. If I were having students grabbing these labels I’d have to rethink them a bit, but for a conscientious teacher like me 🙂 they’re great! 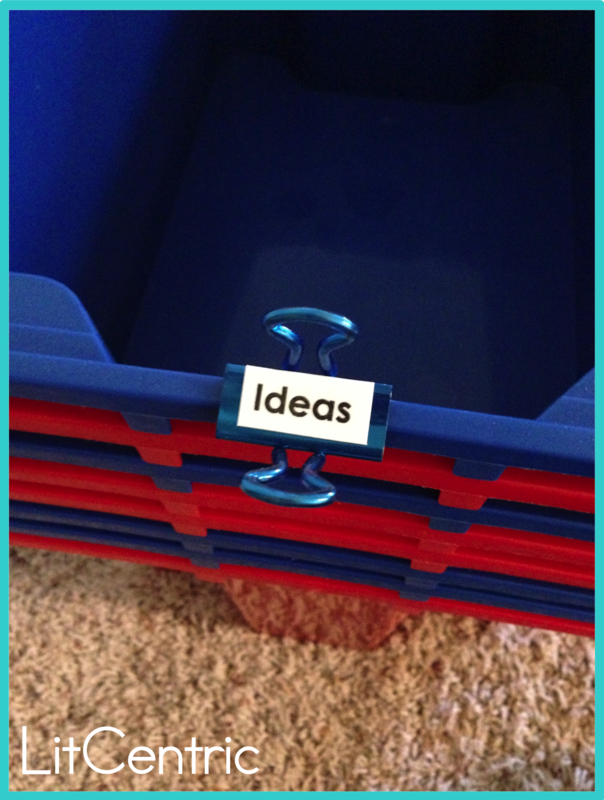 I’ve also used these same binder clip labels on the bookshelf itself. Sometimes I’ve had shelves that were just the right thickness for the clips to hang on to. Other times I attached the clip directly to the books. 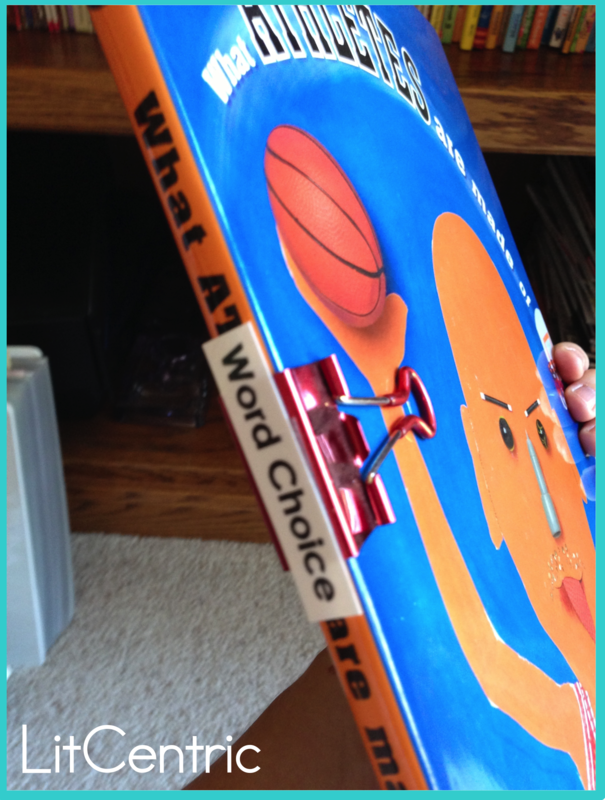 I chose a hardback book in each category and attached the clip label. Here’s what they look like all together on the shelf. You can see the Word Choice and Sentence Fluency labels in the mix.